Michael is from New Zealand , but has not lived there since 1987. 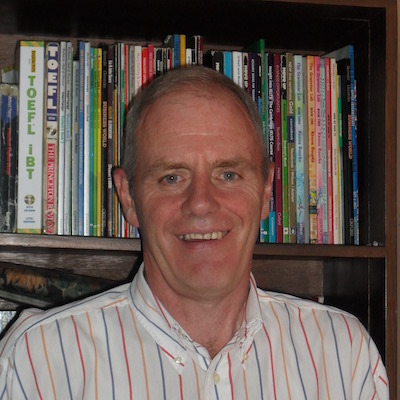 He has lived in Australia, England, Greece, and most recently Ecuador, where he has been teaching English for the last 24 years. During that time, he has done classroom and one to one teaching at universities, colleges and international companies. He has been teaching online for the last 9 years with students from all around the world, and so understands the different problems that particular language groups have learning English. Because Michael has been teaching for so long, he has experience with all levels and age groups, and all kinds of English learning. He can help you with exam preparation for IELTS, TOEFL or any other English test, general English classes, business English or conversation classes. Michael makes sure that students know when they make mistakes as this is the best way to improve their language. Also, he thinks that although grammar is not everything in a language, you must be able to understand it and use it to create your own communication.